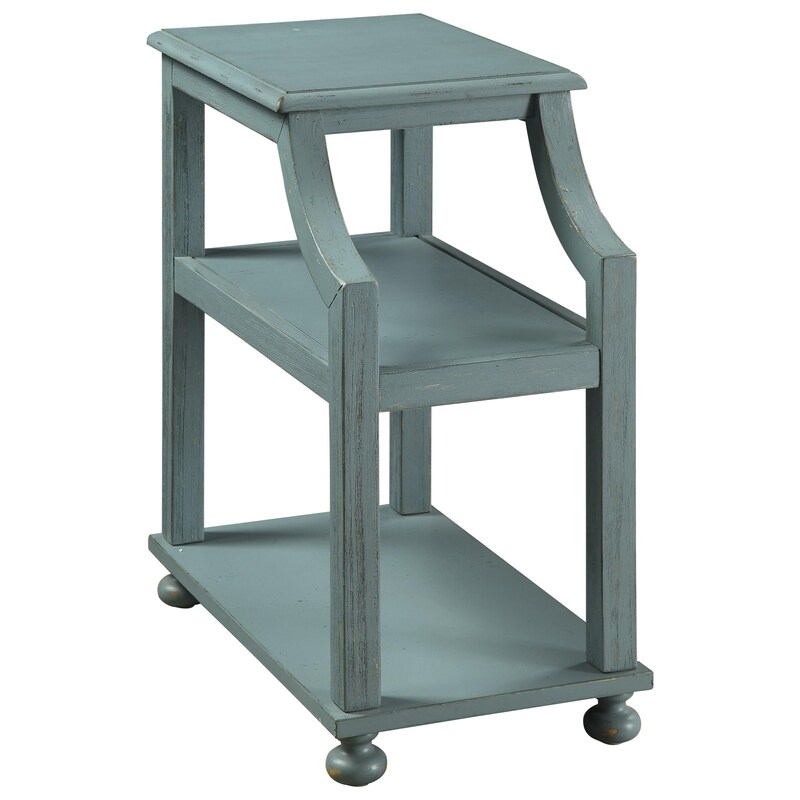 Like a fresh mountain breeze, our Chairside Accent Table finished in soft Lilith Blue Rub will add a touch of cool color to your décor. Ideal for holding a lamp and a few books in your reading room, or some herbs and plants in your kitchen, where the unique 3/4 top and cut-away curved legs offer easy access to the first of the lower shelves. The Coast to Coast Accents Chairside Accent Table by Coast to Coast Imports at Zak's Home in the Tri-Cities, Johnson City, Tennessee area. Product availability may vary. Contact us for the most current availability on this product.